More than four decades have passed since the last time a state conducted a re-do of a congressional election. North Carolina’s 9th District race and New Hampshire’s 1974 Senate contest have a lot in common, including an above-average number of rural voters. North Carolina’s 9th Congressional District, which is headed for a redo of its November 2018 U.S. House election, is disproportionately rural. Forty-four years ago, the last time a state had to re-run a federal election, rural voters had an even bigger role to play. 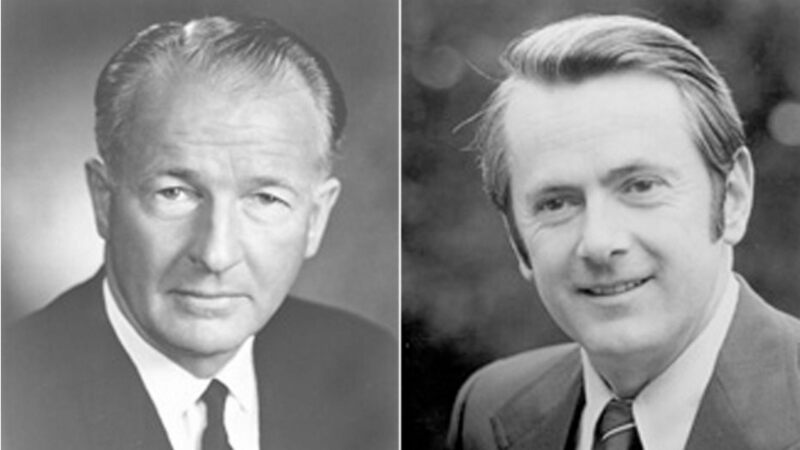 In September 1975, New Hampshire voters recast ballots in the U.S. Senate race, which rematched Democrat John Durkin and Republican Louis Wyman. The state’s population of a little under 1 million residents was about half rural at the time. In North Carolina’s 9th District, more than a third of the population is rural, well above the national rate. The two historic elections had a number of other factors in common as well. The race in New Hampshire started as a proverbial see-saw to determine the winner. The initial counts showed that Republican Wyman had narrowly won. A recount, however, gave the race to the Democrat, Durkin, by a mere 10 votes. Durkin was issued a certificate of election, which was promptly filed with the United States Senate. Wyman disputed the result and filed an appeal with the New Hampshire Ballot Law Commission. Durkin said he wanted the Democrat controlled United States Senate to decide the dispute, not the Republican controlled state Ballot Law Commission. He told The Boston Globe that “the camel in the Bible story had a better chance of getting through the eye of a needle than John A. Durkin has in getting through the Ballot Law Commission.” His lawsuit to stop the Ballot Law Commission from ruling on the election failed. Durkin pledged to take his fight to the U.S. Senate, which had the final say. Wyman said that he would welcome a new election, possibly figuring that his chances were better with the traditionally Republican electorate of New Hampshire than with the 61-39 Democrat-controlled Senate. Wyman asked Durkin to agree to declare the election a tie and allow a new election to be held. Under New Hampshire law, an election could only be redone if there was a tie, which was not the case with Durkin and Wyman. The fight dragged on into the United States Senate, which did its own recount. In the summer of 1975, with no conclusion on the horizon, Durkin ultimately agreed to a revote. The New Hampshire election offers some interesting contrasts, as well as some similarities to the situation in North Carolina’s 9th District, where Democrat Dan McCready faces a yet-to-be-named Republican opponent. First of all, there were also allegations of misconduct in the New Hampshire election, as there are in North Carolina. In a lawsuit in the Hillsborough County Superior Court, Wyman alleged that absentee ballots in the city of Nashua had been mishandled because they were collected by Durkin staffers. The court never got to rule on the merits of those accusations because the New Hampshire Supreme Court ruled that the lower court lacked jurisdiction. In fact, the New Hampshire Supreme Court reaffirmed that the United States Senate was the final arbiter of the results of the race. The Senate did review the claims of absentee voting fraud but never reached a conclusion. One important difference between the New Hampshire and North Carolina elections is that accusations of misconduct against Harris were the impetus for North Carolina not certifying the 9th District race. Accusations against Durkin only surfaced once the election was already being disputed. The initial dispute in New Hampshire was simply that the race was too close to call. In both cases, the state legislatures carved out new provisions for dealing with unprecedented circumstances. In New Hampshire, the state legislature passed a law authorizing a speedy new election if a seat was declared vacant, overturning a previous law that would’ve required the state to wait until the next general election to redo the election. In North Carolina, the state legislature passed a law to allow a primary election to occur simultaneously with an election do-over, possibly to allow the Republicans to legally remove Mark Harris as the nominee, a point rendered moot when Harris voluntarily decided not to seek the seat. One important comparison is the power of the United States Congress. In the North Carolina race, the House (like the Senate in 1975) retained the right to call a special election, if one were warranted. The House could have also opted to skip the election redo and seat Harris. Durkin appealed the New Hampshire Ballot Law Commission decision to the U.S. Senate for a final determination, much as Harris could have appealed the decision of the North Carolina Board of Elections to the United States House of Representatives. Harris’s decision to acquiesce to a re-vote promptly stopped the proceedings and lead to the present situation. In Durkin’s case, the process was playing out in the Senate when Durkin agreed to halt the proceedings to allow for a revote. Another important contrast is that Harris acquiesced when it appeared that he would receive an unfavorable ruling; there was no evidence that Durkin would have received the same outcome. Durkin ultimately won the special election and took the seat as New Hampshire’s junior senator. He lasted just one term before losing the 1980 election to a Republican, New Hampshire Attorney General Warren Rudman. Christopher Chavis is a native of Robeson County, North Carolina, and a member of the Lumbee Tribe of North Carolina. He lives in Virginia and is a contributing writer for Legal Ruralism, a blog that covers legal issues facing rural America. He holds a bachelor’s degree from Dartmouth College and a juris doctor from Michigan State University College of Law.